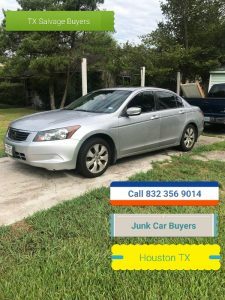 We buy junk cars in Spring TX from 1902 to 2012 running or not. 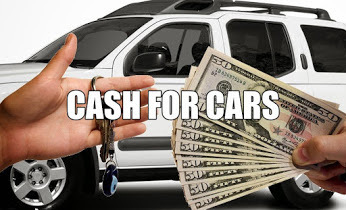 Junk car buyer Spring, we pay the most . 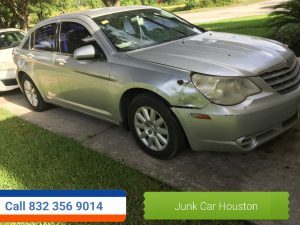 If you want to know what your junk car is worth please give us a call for a free quote on your Car, Truck or Van. No title OK. Do not panic , we can take your car as long as is its in your name . We will have to take down your name and information and run your car threw the proper authorities . As long as it comes back in your name or not stolen then we can buy your car from you for top dollar . We come out and pick up and haul of your car truck or van for free . Your PAID before work starts and we have same day services . Call to day and we can be out today . 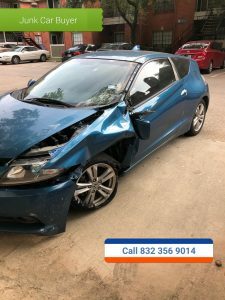 We are Texas number one salvage service. So please give us a call to see what you junk car , truck or van is worth today . 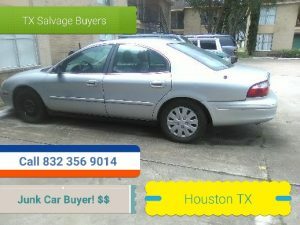 832 356 9014 Spring TX SALVAGE AND SURPLUS BUYERS .